In Hubstaff Talent, you can now choose who can view your agency profiles. You can choose from “Everyone”, “Only Logged in users”, or “Only Me”. 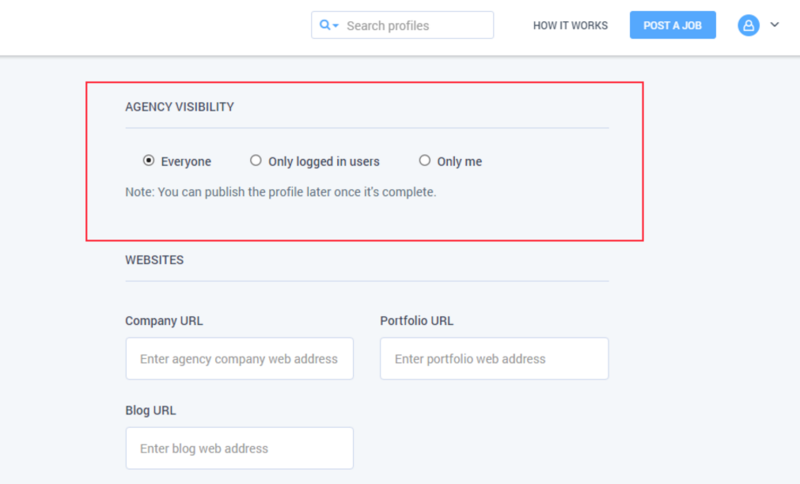 Everyone – If you choose this, all users will be able to see your agency on the search results even those who doesn’t have an account in Hubstaff Talent. Only logged in users – Only those users logged in to their accounts will be able to view your agency and will see it on the search results on Hubstaff Talent. To change this settings, click on your avatar on the top right side of the page and choose “Agencies”. On your agencies page, click on the “Edit” button on the agency you wanted to change the setting. Once you are on the edit page, look for the “Agency Visibility” section and save the changes you just made to your agency.